Following the sad news of the passing of the amazing Oscar De La Renta, I thought it only fitting to showcase his 2015 Bridal collection. 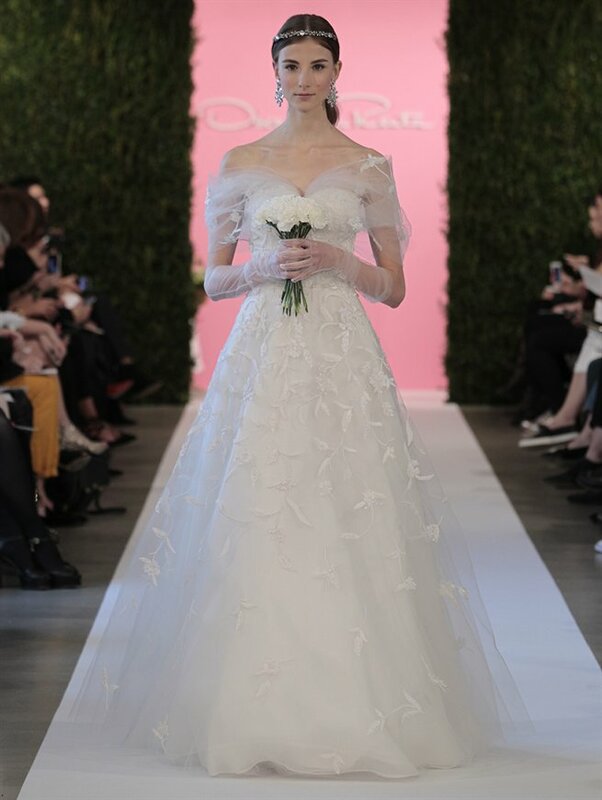 De La Renta has led a truly inspirational design career and has been one of the biggest bridal names within the fashion world, not to mention an icon in ready to wear fashion. The 2015 collection comprises of the perfect use of embellishment and embroidery against clean, crisp silhouettes. Just amazing! The us of lace within the collection is minimal, comparative to the use of material, creating the perfect angelic bridal look. This open empire trail skirt has to be one of my favourite cuts from this collection. So simple yet so effective. I absolutely adore this embroidery. Threadwork is a huge passion of mine within my own bridal designs so this gets a huge thumbs up from me. A full padded skirt. YES. A gorgeous lace overlay yoke. YES. Love! No I don’t just like this because the new Mrs. Clooney wore it. The only designer to make a short wedding dress ooze elegance. The perfect beach wedding dress. Front split, lace and a bohemian bouquet…beach anyone? The cut of the corset is so beautifully structured, this shape would be amazing on any figure! The De La Renta brand is infamously known for its simplicity and elegance. This gorgeous collection proves only this. I can only hope a 2016 bridal collection was in work. This entry was posted in Bridal gown, Bridalwear and tagged Bridal collection, bridalwear, De La Renta, Oscar De La Renta on October 21, 2014 by thebrideloves.